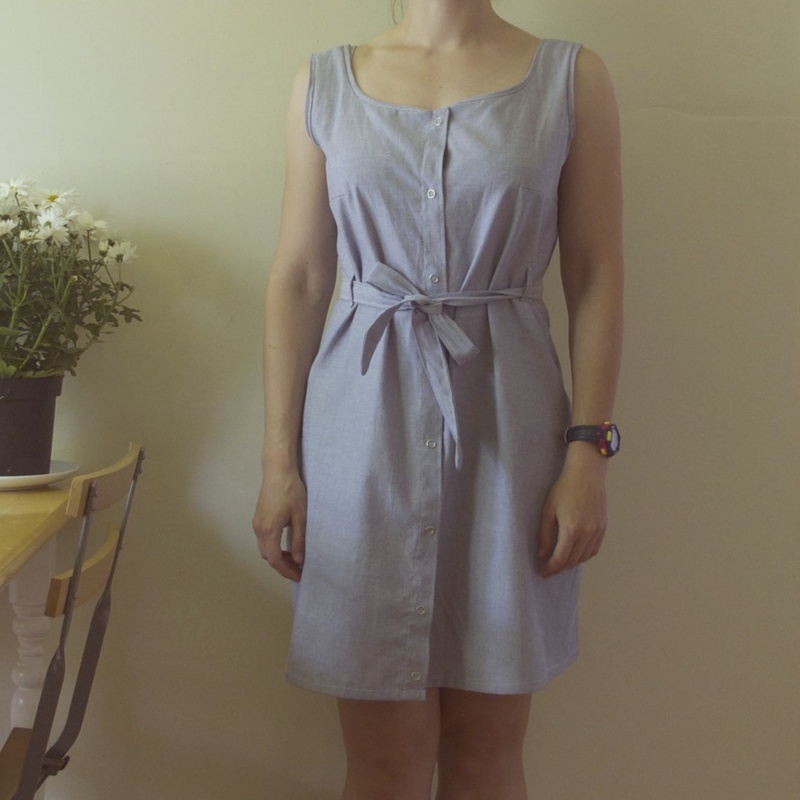 There are several reasons why I loved sewing the Adelaide dress from Seamwork. First, because the magazine really inspires me, from the patterns created to the thoughtfulness of the articles. And it’s that thoughtfulness that is contagious. This dress is supposed to take three hours to sew, but I made it across several weekends, cutting it slowly, then sewing it slowly and finishing it, you’ve guessed it, equally slowly. Which is something I’m trying to learn how to do. 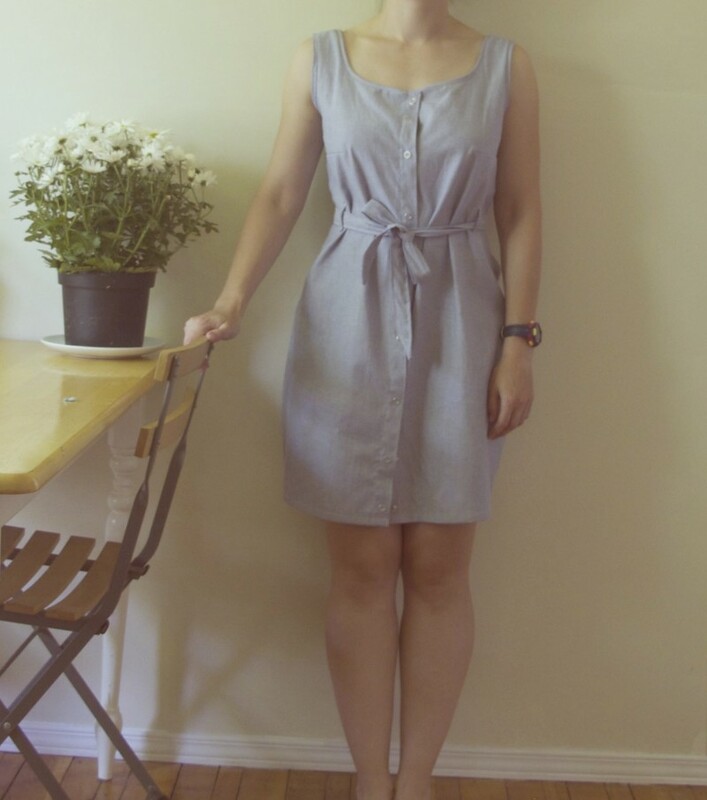 I didn’t make any adjustments to the pattern, except raising the waistline and shortening the bottom hem. I’ve initially made the bottom a size larger and graded it, because I’ve seen other versions of the Adelaide where the bottom part was wrinkling at the hips and I wanted to avoid it, but that wasn’t necessary so in the end I had to remove that extra fabric. I like how the neckline is shaped as well. One little trouble I have is a gap between the first and second snaps. Do you have any suggestions for that? What did I do wrong? I’d like making this in a light denim and try my hand at buttons and buttonholes. I enjoyed Seamwork’s challenge to use snaps. I really like snaps, just don’t like when they snap out of your fabric!